A work that does justice to one of the great scientific geniuses of the age. How science will revolutionise the 21st century and beyond. A fascinating glimpse into the future, by one of the world’s foremost science writers. A quirky little book that mixes knot theory with fashion. The Astronomer Royal speculates about the existence of the universe and the multiverse. 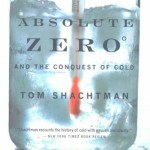 A quirky look at the history, science and engineering of cold. This is one of the most exciting tales in the history of engineering. 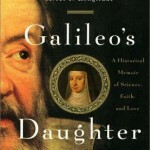 Dava Sobel retells the dramatic story of Galileo, bringing new insight to this classic tale. The heroic tale of a Victorian genius who battled against the establishment. Are we alone? Taylor engagingly analyses the likelihood of other planets being capable of sustaining life. If you have always wanted to know the difference between a quark and squark, or get confused when it comes to bosons and wimps, or talk about cosmic strings when you mean superstrings, then John Gribbin’s “Q is for Quantum” might be a useful guide to the mysteries of the quantum world. The true story of the chess-playing machine that fooled the world. Tom Standage is one of my favourite science writers, and I would also highly recommend his other science books. Michael White’s biography describes the great man’s scientific achievements, but the real focus of this book is the background to Newton’s tormented personal life, which created such an isolated, obsessive, cruel genius. 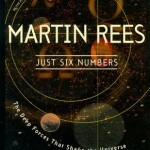 Many popular science books shun equations, partly due to overzealous editors who fear that the appearance of anything that looks like mathematics will frighten off potential readers. In contrast, here is a book that relishes equations, which celebrates their power and beauty, and which still manages to explain rather than baffle. This history of fingerprinting is full of gory murders, villains and tales of intrigue, and Beavan exploits each bloody detail in the best tabloid tradition, while simultaneously explaining with clarity and enthusiasm the history of what is still one of the most powerful tools in forensic science, a technique that some initially called “scientific palmistry”. Each year, science journalist Roger Highfield searches for stories with a Christmas angle; the evolutionary origin of gift giving, the mystery of the Star of Bethlehem, how reindeer fly, cloned Christmas trees, and anything else that might add a festive flavour to his weekly column in London’s Daily Telegraph newspaper. He has now gathered together these stories in a delightful compendium of seasonal science. A great follow up to “Can Reindeer Fly?”, this takes a similarly quirky look at science. This time Roger Highfield explores the science of Hogwarts from a Muggle’s perspective. This is a beautiful book about an obscure creature that lives on only in fossil form. Fortey is a man with an obsession and he conveys it wonderfully. I have not read this it yet, but it is high on my list. If it is half as good as Trilobite (above), then it is well worth reading. Chemistry has been a neglected area of science writing and Mendeleyev, the king of chemistry, is a largely forgotten genius. Strathern’s insightful history goes a long way towards correcting this injustice. A beautifully illustrated and highly readable attempt to explain how our brain works. I have just read a pre-publication of this book and it is brilliant. Gabrielle Walker is a very talented writer for New Scientist, and this book tells an amazing detective story about a hitherto unknown period of the Earth’s history, one that changed the course of life on this planet. Adam is a brilliant TV science presenter who is responsible for some of the most exciting science programming of recent years. This is just one of his TV-based book, but you will find lots of others at Amazon. I was lucky enough to interview Michael Frayn at the Royal Society. Frayn wrote the play Copenhagen, which explores the relationship between Niels Bohr (father of quantum physics) and Werner Heisenberg (head of the Nazi atomic bomb project). The play is brilliant and the script is listed below, along with Celia’s Secret, a curious spin-off co-authored by Frayn. If you have seen the play, then I would highly recommend Celia’s Secret. If you want to read a piece of related non-fiction, then buy Heisenberg’s War, and I have also listed two other science-related play scripts, Arcadia and Proof. 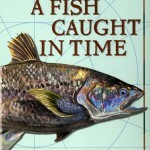 Just one of many excellent books published by the Scientific American Library. 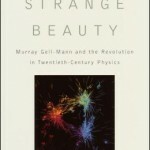 This book uses staggering pictures to explore the universe from the microscopic to the cosmic, jumping by powers of ten. A collection of essays, in which Gardner critiques beliefs in the paranormal and the occult. An analysis of supposedly psychic events. its beauty, rather than diminishing it. This was my first introduction to the work of Stephen Jay Gould, the prolific natural history essayist. This, like all his collections, is an elegant and intriguing journey through the natural world. If you know about Theatre of Science, then you might have heard of the Sleek Geeks, so you might have heard of Dr Karl, who is the author of this book and dozens of others. These books are terrific fun. The titles convey the enthusiasm, energy and humour that is inside each one. How did life get started? Davies explains. Or at least he explains as much as we know, which is still pretty impressive. This eminent scientist writes about the depression and his own personal battle with the illness. What is science and how does it work? Wolpert explains. I was a director on this BBC TV series back in 1996, and this book accompanies the series. An investigation into the crater that wiped out dinosaur life over 65 million years ago. A variety of Russian brainteasers ranging from simple 5 minute puzzles to mind-numbingly difficult conundrums. Over 250 illusions in this study on the psychology of vision. 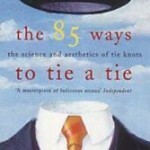 A collection of quirky science-based essays. asking questions such as why people laugh, and why moths fly to the light. The story of hackers Doyne Farmer and Norman Packard, who beat Wall Street with a simple computer program. A concise and enthusiastic account about the development of the telescope and the impact of the instrument in our understanding of the universe. A masterpiece from Rhodes, chronicling the story of the brilliant physicists involved in creating the most destructive force in history. A tour of some of the stranger scientific theories being discussed today. Bodanis discusses the development and applications of one of the most famous equations in modern physics. Experiments to demonstrate the laws of science in a fun and accessible way. A science magic book with tricks will astound you. Does telepathy exist? and Can you influence other people’s dreams?. These are just two of the questions posed in this balanced and scientific view of psychic powers. Lamont and Wiseman discuss the thoery behind performing magical tricks, from the sleight of hand required, to the psychological techniques used to fool the audience. Shah’s account of his visit to India, where he trained under one of India’s greatest magicians, Hakim Feroze. A fascinating account of the building of lighthouses around Britain by the ancestors of the renowned author Robert Louis Stevenson. 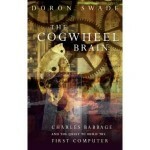 Ramachandran’s excellent book looks at what happens when neurological functions go haywire. One of the most accessible and informative books available on the history and treatment of cancer. A look at the many scientific and geological experts who have tried to determine the age of the Earth, from Bishop Usher to the present day. A beautifully illustrated history of science. An amazing science photography book illustrating mankind’s journey to the moon. Whitehouse’s book is an excellent exploration of the Moon. Full of wonderful tales and stunning facts. Greene successfully explains the difficult concept of string theory. A hands-on look at how to win the lottery, a game of Monopoly or a round of tennis amongst others. A compendium of over 600 questions based on everyday observations in physics. 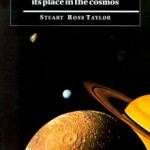 Written in 1958, this is an excellent book about the history of the universe and the key scientists and philosophers who have shaped these views.